iCivics is a collection of civics related games to use with your class. Some are great, while some are not so great. They recently released a new game, and we’ll take a look at it today in this Race to Ratify review. Race to Ratify (click here to see the game on iCivics) is a strategic simulation game set in the 1780’s and it focuses on the ratification of the Constitution. 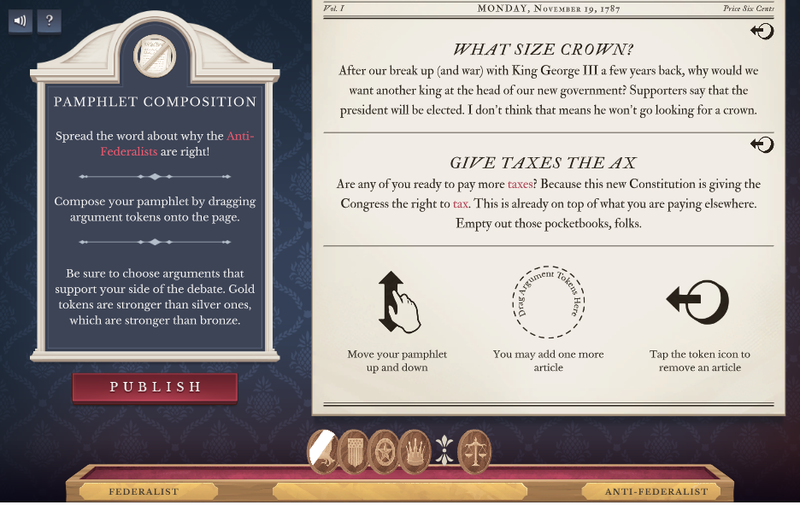 Players choose a side – for or against ratification – and then proceed to learn about the arguments on each side, write pamphlets to support their side, and persuade people in different states to vote to ratify the Constitution. I played through the game to get a feel for it and, overall, I like it. The ratification debate and the arguments of the Federalists and anti-Federalists are pretty abstract topics. 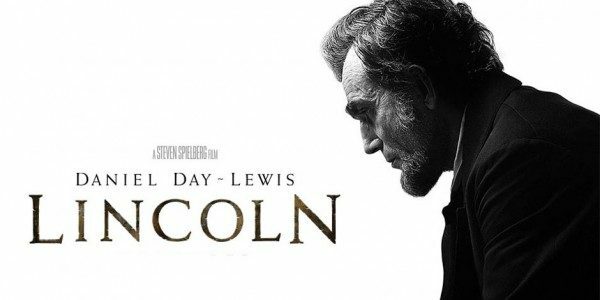 It’s a staple in Early U.S. History, so I teach it in some form every year, and I have a feeling that this will help make things more concrete for my students when I get to it next year. I really like the way the game connects individual arguments to big ideas using tokens, and the format for “writing” pamphlets helps students think about big ideas and organization rather than the mechanics of what to write. So first, let’s talk about the premise for the game. Race to Ratify is set in the 1780’s in the United States. The delegates to the Constitutional Convention have proposed a new Constitution, and the thirteen individual states are set to deliberate and vote on whether or not to ratify this Constitution. In the game, the player is a pamphleteer, and your job is to write pamphlets that persuade people to agree with your side. You can choose to be for or against ratification at the beginning of the game, and you spend the rest of the game learning the arguments to put in your pamphlets. The game is a series of rounds, and at the end of each round a state or group of states holds a ratification convention to vote on the Constitution. By the end, the Constitution is or isn’t ratified depending on how you influenced these states. The whole premise is, of course, based on the cutting edge technology of the time – printed pamphlets. An example of moveable type, which would have been used to print a pamphlet during the time period of Race to Ratify. What is Gameplay Like in Race to Ratify? There are a few different aspects to gameplay in Race to Ratify. One of your main tasks throughout the game is to learn about the arguments in the ratification debate. You do this by traveling the country and speaking with people. As you talk with people, they provide their own views – either in favor or support or the Constitution – and you receive tokens. The dialogues involve some basic choices where you decide what to say, and if you choose a non-sense response the person may disengage and refuse to give you their opinion. During this conversation, I unlocked an argument token. It’s about the Executive Branch, and the argument is called “Solving a Known Problem.” It will get sorted on the Federalist side of the argument token tray at the bottom of the screen. These tokens represent arguments related to certain big ideas – like the role of the executive – and they are collected in a tray at the bottom of the screen. You can sort the tokens, sort of like a tray of scrabble tiles, and keep “Pro” arguments on one side and “Con” arguments on the other. At the end of each turn, you write a pamphlet. This is done by dragging these argument tokens onto a blank pamphlet. Once you’ve selected two to three arguments, the game mocks up an actual pamphlet with headlines and some text. At the end of each turn, you have to compose a pamphlet. I chose to argue for the Anti-Federalists, and I used two arguments – about the President being a King and about the federal government taxing people. To compose the pamphlet, you drag a token to the empty circle. Finally, you have to decide where to go to publish your pamphlets. Throughout the game, you learn where each state stands on ratification and you can see a gauge of whether it’s leaning for or against. When you publish a pamphlet in or near a state, you influence the outcome in that state. At the same time, there’s an opposing pamphleteer traveling the country publishing arguments against your position. Each turn, after you’ve published your pamphlet, one or more states vote at ratification conventions and you see who does and doesn’t ratify. At the end of the game, these decisions will either lead to the Constitution being ratified or not. 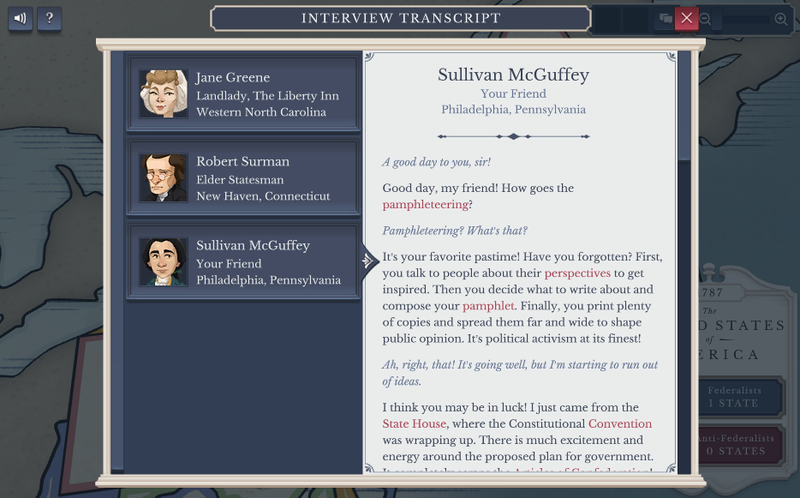 You can go back and see an interview transcript for each character that you’ve talked to. In terms of game play, I don’t think this is useful… but it would help if you assign students to do some kind of writing or reflection about the various conversations they’ve had. What are the Teacher Resources Like in Race to Ratify? Like with all iCivics games, you can sign up for a teacher account and get access to extra resources. Race to Ratify includes an extension pack that includes a Powerpoint and handouts that you can use to incorporate the game in your class. The basic resources that come with the game includes a game guide and a history guide. The game guide starts by identifying some learning objectives, and then it gives step by step instructions on how to play the game. I was able to play the game and do just fine without reading the instructions – so it’s pretty intuitive and user friendly – but for some people this may be helpful. There’s also a nice one page handout that highlights the big ideas that will appear throughout the game, and this could be a useful student handout if you want to provide some scaffolding. The history guide starts with a cover page for the teacher and provides three extension activities. The rest of the history guide is handouts and documents for your students, including: a) a timeline, b) a glossary, c) a handout on biographical information, and d) links to websites with information about people in portrayed in the game. The expansion pack includes a Powerpoint slide deck and a PDF file with accompanying documents. 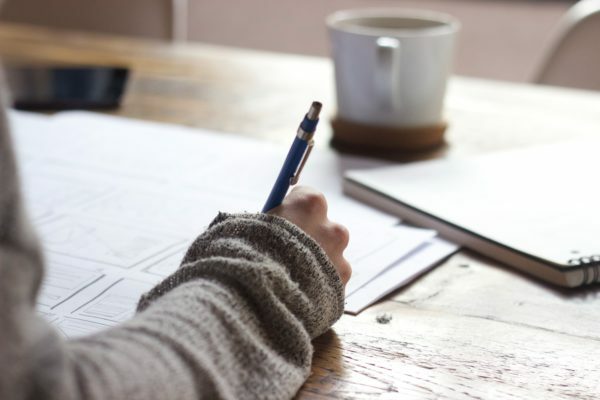 The two go hand in hand, and the Powerpoint takes you through an activity introducing the game and a post-game activity and quiz you can do to assess what students have learned. It’s well put together, and it looks like pretty much everything you need. The lesson plan in the PDF file says that it should take approximately three class periods. After playing the game and reviewing the materials, my first impression is that four good things about the game are that it does a great job of breaking down the debate into discrete ideas, the expansion pack is well put together, the characters are based on real people, and the characters are representative of different groups of Americans. The best part of the game is clearly the way that it identifies key ideas and arguments in the ratification debate. The use of tokens is a really good idea, and it’s a general concept that you could adapt to any kind of lesson based on making a persuasive argument. The game reinforces and repeats some of the arguments, and they’re tied back into the handouts in the expansion pack. This could make the whole concept of the ratification debate – and the arguments for and against ratification – more approachable for students. Another thing I really like at first glance is the expansion pack resources. I’m not always a fan of pre-made powerpoints and handouts, but in this case I could see myself using them as-is or with some very minor modifications. There’s a good warm-up activity comparing pamphlets to social media, a mini-lesson with some background information, and a quiz to assess what students learned. A third thing I really like is that the characters are all based on real people. Throughout the game, you’ll talk to ten or twelve people and learn the arguments from your conversations. I didn’t notice it when I played, but when I looked at the resources I realized that all of these people are based on real, historical figures. The history guide in the teacher resources contains a list and bibliography on all twenty two characters portrayed in the game, and researching them could be a great extension activity. Finally, I like that the characters are (mostly) representative of America in the 1780’s. There are men, women, free African Americans, enslaved people, and even Native Americans. It’s nice that the whole conversation is not centered on the rich, white men who attended the Convention, and you get a sense that there is a diverse group of people living in the early United States. Overall, I’m pretty happy with the game, but there are a few reasons that I’m cautious about. I probably won’t have a chance to actually teach this until next year, but in the meantime I’m worried about three things – it involves a lot of reading, I’m unsure how long students will take to play, and the conversations may not be as representative as the characters. While the game does an excellent job of breaking down the arguments and scaffolding it, it requires a lot of reading. If students skim through the conversations or simply don’t comprehend them, I wonder if they’re going to have trouble with the actual gameplay mechanics. This is a bigger concern if you work with a student population that struggles with reading, but it’s a concern nonetheless. The expansion pack suggests three class periods to complete the introduction, the game, and the assessment. That’s a perfect amount of time. But I’m unsure if it will actually work out that way, especially with regular 40 minute periods. If I had a block period, I think I’d be more confident that you could finish this in two block periods. But having played games before, not every student is going to be able to play the game from beginning to end in one 40 minute period. While the characters are representative of a diverse America, a few of the actual conversations gave me pause. When I played through the game, I spoke with an enslaved person and she gave a fairly dispassionate explanation of the arguments related to the Constitution and slavery. It just didn’t seem authentic to what I would have expected her character to think. It makes me wonder if in trying to abstract the ideas about the Constitution, the conversations lose some of the personality of the characters. At the end of the day, I think the game looks great and the benefits outweigh any potential drawbacks. Unfortunately, I’ve already finished my unit on the Constitution and ratification this year, but I’ll definitely be trying to this out next year. What are your thoughts – have you played the game? Have your students? Drop a comment below and share your own Race to Ratify review. Games like Race to Ratify are one way to make your social studies class more exciting, but check out these other suggestions for how to teach government in a fun way for some other suggestions. 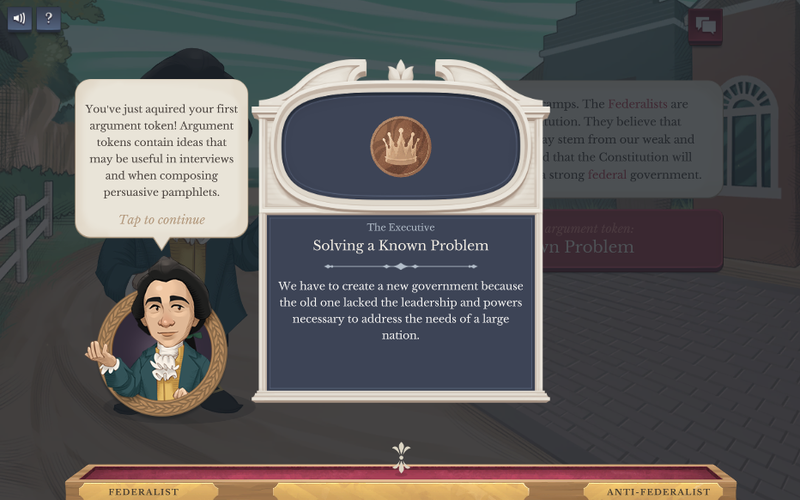 You can also see some other posts on this website about using games to teach civics.